Once you create a folder, you can upload Microsoft Word documents, PDF policies or procedures, Excel spreadsheets, and even digital interactive forms. 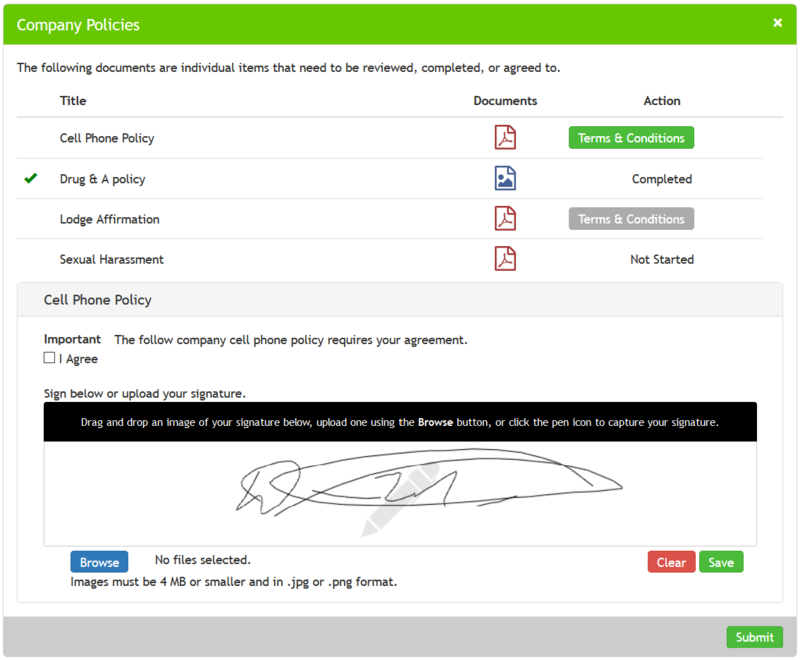 With all required documents uploaded, you can set up specific rules for each document, such as who can access them, who can edit them, if a digital signature is needed, the affirmation statement wording, and more. Using the advanced permission management system, administrators can map out specific user access to edit the folders as well as employee assignments for sign-off requirements. Using the Assignment Type Selectors, you can choose from assigning a folder by location, system role, company role, or a combination like Company Location and Company Role (e.g. Red Deer and all Crane Operators). This assignment mapping will instantly add the folder to the employee’s home page under their Training tab in the Assigned section for them to access. This tool provides the ability for the user to click and open the Word, PDF, or Excel document, which activates the Terms & Conditions button and allows the user to read the details, check the affirmation statement, and digitally sign off on the company policy. As employee sign off on the forms under the Assigned section on their home page, the folder moves to the In Progress section. When all forms have been signed off or completed, it moves to the Completed section. When a document is updated or expires, the folder automatically moves back to the Assigned section, alerting the user of the new requirement to sign off. Once signed off again, the folder returns to the Completed section. Included in this document management feature is advanced reporting for each document and summary reports for the entire company. It also includes individual detailed reports on what forms a particular user signed off on and what forms are still outstanding. The best part is the ability to highlight updates to a new document. If the company makes changes to a document, you can force a user to open it, ask them to read it, highlight the changes for them, and then ask for a signature upon completion of the review. 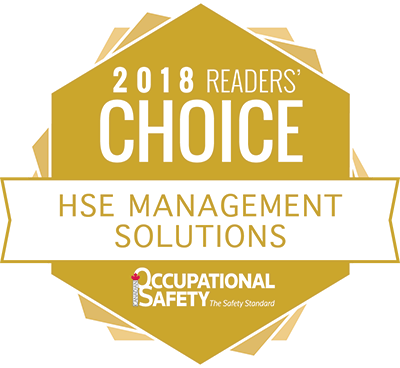 This allows the employee to quickly view the specific changes in a workplace health and safety document while at the same time providing them the full document access for review and tracking their agreement. In an era where hacking of emails and computers is rampant, you need storage software you can rely on. That is where BIS Training Solutions come in. We provide a document management system that keeps your documents safe from hackers and unauthorized persons. Our document management system will be able to track, store and manage documents in your computer with ease. The advantage of this system is that it will keep the version of the document that has been modified and even the newly created by the user. With this software, you will no longer take hours sifting through tons of paper to look for a document. The Safety Compliance Folder System is a cloud document management system. This means the software can store multiple documents in the cloud for easy and instant access. From cloud storage, employees can sign off by appending digital signatures that are instantly captured and stored. 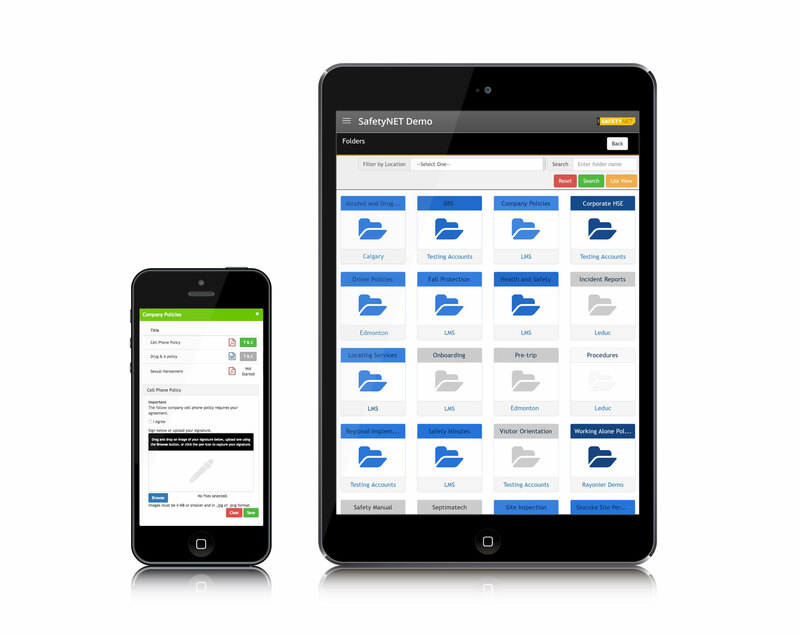 Better yet, the cloud document management system is compatible with smartphones, whether android or IOS powered. One of the most helpful features of the document management system is its ability to capture documents from any source and give you the tools to organize them. The software is not only able to store digital copies of paper documents, but it can also do custom indexing to classify documents in a way that will be easy for you to find later. When you create a folder, you choose if it will be accessible to specific locations within your company, to all locations, to select users, or to all users. Once created, you can use the advanced permission management system to assign the folder and all its contents to groups based on their role within the system, their company role, or a combination of company role and location. Whoever is assigned the folder will see it on his/her homepage under Assigned. Tracking which documents have been reviewed and submitted is easy with this application. Admin users can go into any folder they have access to, select a file, and download a comprehensive history report for that document. This generates an Excel report that details who opened each form and the date on which they signed off. Want to learn more about how you can utilize our folder system to increase your employee compliance? Let us know!